Brian Hawkins (known online as Sn8wman and WarrickDunn28) is a young, successful online poker player who has won some of the biggest online poker tournaments in the world. Hawkin's largest cashes have left him with a lifetime online winnings total of over $1.8 million, and he continues to increase that total every day. Brian also has almost $100,000 in live tournament earnings, even though he has only been twenty-one years old for a few years. This article is going to take a look at Sn8wman's online career, his biggest tournament cashes, and his transition to live tournament play. Hawkins plays online at all of the major poker sites, including PokerStars, Full Tilt Poker, Ultimate Bet, and Absolute Poker. Brian's username is Sno0owman at PokerStars and Absolute Poker, Sn8wman at Full Tilt Poker, and WarrickDunn28 at Absolute Poker. Hawkins is also a contributor at the PocketFives.com forum, where he has over 900 posts. Some of Sn8wman's posts are considered essential reading for new online tournament players. 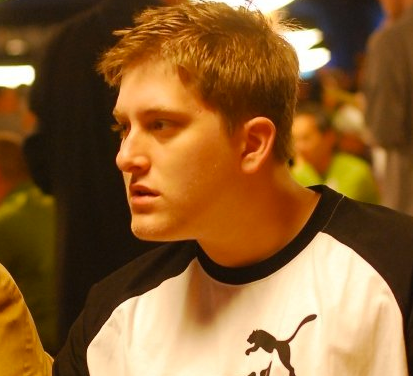 Hawkins is a weekly presence on the PocketFives Online Tournament Leaderboard, and has reached as high as #9 in the world (in July of 2008). At the moment, Brian is in the 98.61th percentile of all online tournament players (according to the PocketFives.com Rankings). Hawkins can also be found playing some of the biggest live tournaments in the world, including WSOP, EPT, and World Poker Finals events. Sn8wman has yet to make a name for himself on the live tournament circuit, but if his online results are any indication of his skill, we expect a major live score soon. Between live and online winnings, Sn8wman's career tournament cashes are now approaching $2,000,000. Note that the $2,000,000 figure is the total of his cashes - not his profit. To determine a player's profit you have to subtract buy-ins from cashes, but we do not have access to Brian's buy-ins total. Hawkins currently lives in Fort Myers, Florida, where he plays online tournaments from home. Surprisingly, Brian's favorite poker site is Absolute Poker, even though the site only offers small-medium size tournaments. Sn8wman's favorite poker hand is Kc-Ks, and he also enjoys playing high stakes NL Hold'em sit and go's. Brian enjoys gambling on golf, softball, and football, and also has an interest in business.